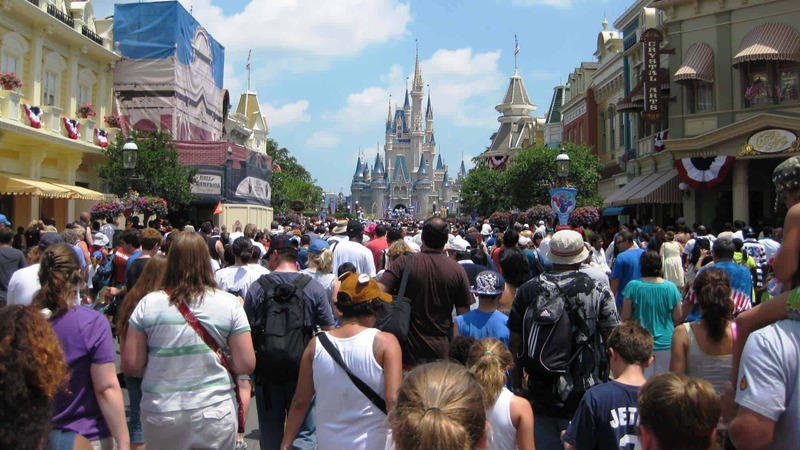 In the endless comparisons that are drawn between Walt Disney World and Universal Orlando Resorts, one of the biggest has to do with crowd control – more specifically, how the two theme park operators manage the flow of guests to a particular attraction throughout the day. Disney took a giant leap in this regard when it implemented its FastPass system back in 1999, which enabled riders to wait in a virtual queue instead of a real one by issuing return-time tickets (and thereby allowing patrons to tour the park, visit other attractions, and – of course – spend more money on food and souvenirs). Universal countered shortly thereafter with its Express Passes, tickets that grant guests front-of-line privileges (by being given access to an alternative, shorter queue altogether), potentially doing so an unlimited number of times. These are, needless to say, approaches that are diametrically opposed: one requires a deal of pre-planning (up to two months in advance, in fact), whereas the other is spontaneous and free-flowing; one is free, the other a premium add-on; one attempts to more evenly distribute lines throughout the day, while the other can possibly impact the wait time of the standby queue. 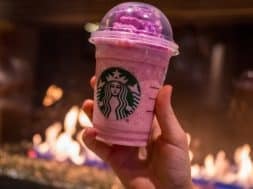 But, interestingly enough, they’re also stances that are starting to bleed one into the other – particularly as Orlando’s tourism market continues to balloon, bringing more visitors to the two resorts than ever before. Starting just last year, Universal has adopted its competitor’s virtual queuing approach by having all of its new attractions (such as Race through New York Starring Jimmy Fallon, Fast & Furious: Supercharged, and the entirety of the Volcano Bay water theme park) incorporate what it calls Virtual Line from the ground up – visitors are only able to nab return times in order to hop on the rides (Express access, in these instances, works by just allowing users to walk onto the attractions without any sort of delay). Now, Disney is tipping its toes into the upcharge crowd-management pool. Starting today, a new service allows those guests who meet certain criteria to purchase an additional three FastPass+ reservation slots, bringing their total off-the-bat number to six (remember that riders can always add on additional individual reservations once their initial allotment has been used up). There are a few other, extra perks thrown into the mix, as well: the possibility of using these FastPasses in more than one park on the same day (if one has multi-park admission, that is), getting preferred viewing locations for one of Disney’s myriad nighttime spectaculars, and being able to book these reservations 90 days in advance instead of the typical 60 or 30. Now for those criteria: visitors must have at least a three-day pass to the parks (annual passes are accepted here with no problem), and they must stay at a club-level room at select on-site hotels (which include the brand-new Copper Creek Villas & Cabins or any of the Magic Kingdom-area deluxe resorts). As for the add-on FastPasses+ themselves, they cost $50 per person, per day, and they’re only good for a particular ride one time only (sorry – no double-dipping on Toy Story Midway Mania will be allowed). 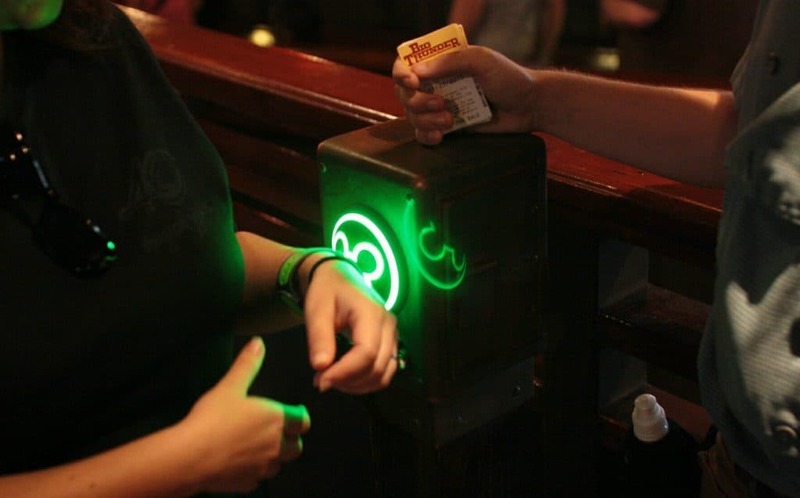 This is a move – when compared to Universal’s broader implementation of its Virtual Line, at least – that is relatively contained; generally, only the highest-spending Disney World guests will see access to this new option, and it’s unknown how many will actually take advantage of it. Still, it’s hard to see how this trend of moving closer to Universal’s premium approach won’t continue to expand going forward, especially as the destination is set to receive some pretty massive additions within the next three years, from Star Wars: Galaxy’s Edge to a slew of resort-wide attractions timed for Walt Disney World’s 50th anniversary in 2021. Will the availability and utilization of FastPasses become so ubiquitous that the company will be forced to add straight-up Express Passes into the fray, say in that golden anniversary year? 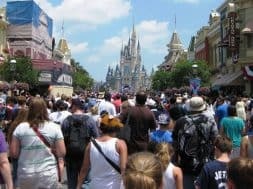 There may well come a time, in fact, when there’s something of a perfect convergence point between Disney and Universal’s original positions on the crowd-flow issue, when – for all practical purposes – the average guest won’t be able to tell a difference between the operating procedures at Disney World or Universal Orlando. And that time may well be sooner than we all think. The premium FastPass+ add-ons have been available since January 12.